Coraline had open heart surgery less than a week ago, on Friday 2nd November. It’s incredible to be at home, discharged today, thinking back on the past week. It feels so happy and cosy, quiet and comfortable to be in our little house. No words for how gorgeous it is. Or for how grateful we are to everyone at the hospital. This is Coraline, very early last Friday morning in the accommodation the hospital provided us next door the night before surgery, after her pre-assessment the day before. We then stayed in the hospital, as planned, for the past week so we haven’t been home until this afternoon. 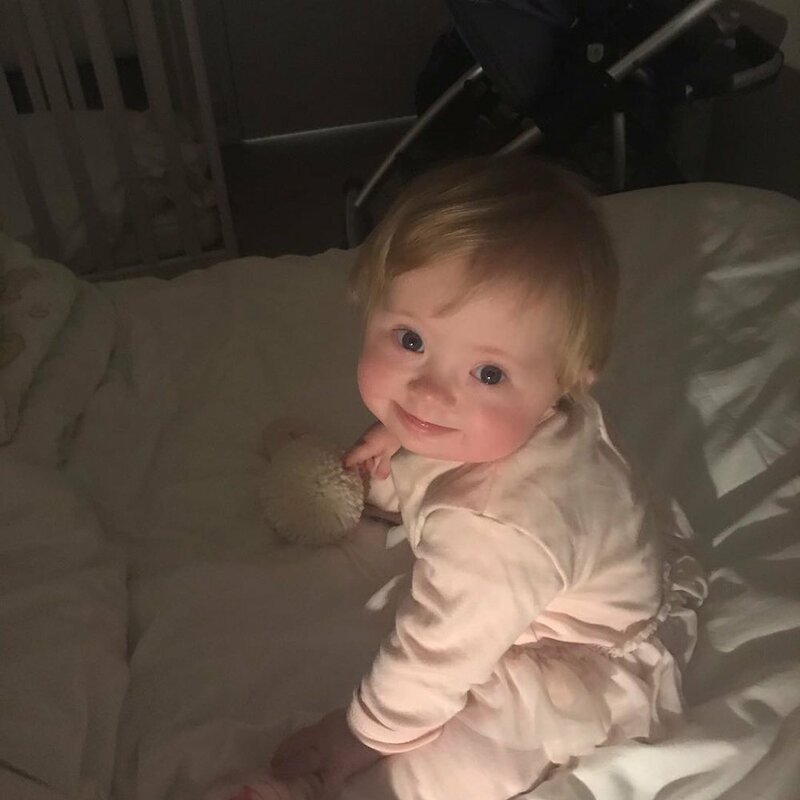 We learned at Coraline’s regular Cardiology appointment on 8 October that she would need surgery soon and then it was scheduled for 2 November. We did not share widely that it was happening beforehand or during our time in hospital. We didn’t speak to other parents whose babies had had the operation (though I did do this back when Coraline was three months old when we thought the surgery might have been likely, but it was postponed until now as she was doing well). We didn’t speak to anyone as we trusted the hospital and we knew instinctively that our experience would be our experience and that’s all we needed to know. I’ll write more posts about parts of our experience over the next week. Coraline has been wonderful and is really back to herself since yesterday morning, and one nurse did say today, “she’s too cute to discharge”. We have met so many skilled, warm professionals who have infused us and Coraline with all their expertise and care. We will always remain in appreciation and gratitude for what they do daily, so impressively, for so many. They are utterly amazing. That’s also what’s come out of our conversations with other parents in hospital - a life approach of gratitude and patience has come out for them too. I was speaking to one parent this morning in the parents room whilst he was making a cup of tea kindly provided by the hospital, and he said he now appreciates everything in life so much more, from the care we get, to making and having a cup of tea. I think that about sums it up.